<b>A Home for the Single Dad </b>Landing a renovation job for a wealthy Millbrook Lake client is a coup for contractor Davina &quot;Dani&quot; Connell--one that could give her business a much-needed boost. But Santo Alvanetti could be trouble in more ways than one. Dark, brooding and distractingly handsome, this recently widowed father of three is surrounded by sadness and shadows, much like his home. All good reasons not to become emotionally involved. They may be complete opposites, but there's something irresistible about Santo. Dani's determined to give him and his children the new home and future they deserve. But could she also be the wife and mom they need? 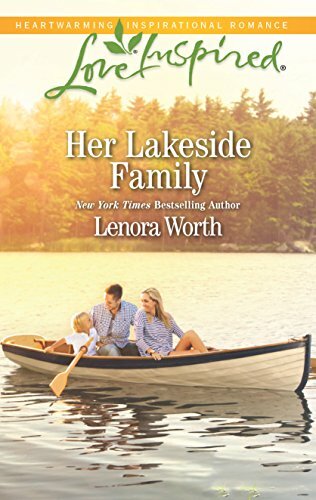 Lenora Worth writes for Love Inspired and Love Inspired Suspense. She is a Carol Award finalist and a <em>New York Times</em>, <em>USA Today</em>, and <em>PW</em> bestselling author. She writes Southern stories set in places she loves such as Georgia, Texas, Louisiana, and Florida. Lenora is married and has two grown children and now lives near the ocean in the Panhandle of Florida. She loves reading, shoe shopping, long walks on the beach, mojitoes and road trips.